For older adults choosing to age in-home, a home safety assessment is critical in order to identify any potential risks that increase the chance of falls or other preventable injuries. According to the non-profit Rebuilding Together, 80% of those aged 50 and older own their own homes, and 92% of them want to age-in-place. However, most haven’t updated their homes appropriately to be able to do so safely. According to the Center for Disease Control (CDC), environmental factors lead to about half of all falls that occur at home. Luckily there are things that can be done to greatly reduce the risk of these types of injuries. 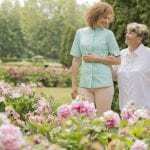 While maximum safety can sometimes require larger modifications, in many cases a senior’s home simply needs a few minor modifications to ensure it is accessible, comfortable and safe. To help you, we’ve compiled a list of the 30 best ways to make a senior’s home safe for aging-in-place. 1) Install grab bars for toilets and tubs. 2) Install a walk-in tub and/or tub seat. 3) Install new lights (such as motion-sensor flood lights) or increase lighting on exterior pathways. 4) Increase lighting on all stairs, either by plugging night-lights into wall outlets or installing overhead fixtures or wall sconces. 5) Install light switches that glow in the dark. 6) In the kitchen, place lighting over the sink, stove and other work areas for better visibility. 7) Consider installing additional lighting in closets. 8) Install an easy-to-read thermostat. 9) Switch to full-spectrum light bulbs that simulate daylight, or halogen light bulbs to reduce glare. 10) Replace round doorknobs with easier-to-use lever-style door handles. 11) Place a chair or table near the entrance door for placing packages while you lock or unlock the door. 12) Replace traditional toggle style light switches with larger, easier-to-use rocker-style light switches. 13) Consider repairing or replacing any hard-to-open windows. 14) Consider pull-out or pull-down shelves, or drawers designed to close automatically, in closets and cabinets. 15) Have the dishwasher elevated to reduce the amount of bending over to properly load. 16) Look at switching to a side-by-side or drawer-style refrigerator. 17) Buy “clapper” devices to turn on and off household electronics. 18) Adjust hot water temperature to a comfortable level to avoid burns. 19) Increase the width of doorways to accommodate wheelchairs and walkers if needed. 20) Remove unnecessary throw rugs and fasten down rugs or floor runners to prevent slipping. 21) Move furniture to create clear walking paths. 22) Keep objects off the floor and coil or secure cords to prevent tripping. 23) Install touch-activated sinks in the kitchen and bathroom. 24) Apply non-slip tape on uncarpeted indoor and outdoor steps. 25) Where possible, consider lowering sinks and countertops. 26) Move often-used items to lower cabinets to avoid the need for step stools. 27) Repair or replace loose handrails and install adequate lighting in stairways. 28) Install an elevator or lift chair to ensure easier trips up and down stairs in the home. 29) Replace old stoves with induction cooktops to help prevent burns. 30) Replace ceramic tile floors with hardwood or vinyl for safe standing. 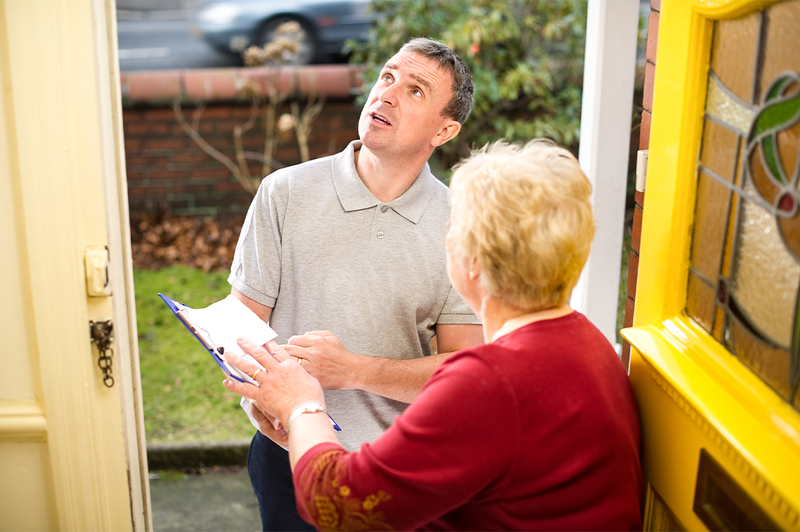 SameAddress is an industry leader in home safety for seniors, with extensive experience both identifying and remedying safety issues of all levels of severity. Our Senior Safe Home Assessment is comprehensive and evaluates 75 different potential safety issues, both inside the house and out. Our program is designed and managed by our Certified Aging in Place Specialist (CAPS), trained by the National Association of Home Builders to accommodate the needs and safety of older adults who want to age-in-place. At the end, we provide an assessment document that includes details on findings, suggested modifications and price estimates. Home is the ideal location for many seniors to start their aging journey, and it’s important that their home is comfortable, accessible and as safe as possible. To register or learn more about the SameAddress Senior-Safe Home Assessment process, please, call us today at 1-866-SENIOR-1.